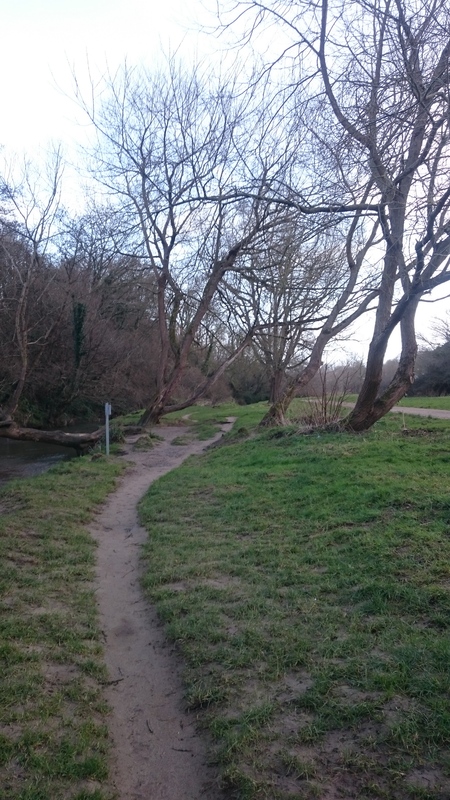 Yesterday was a beautiful, sunny, bank holiday Friday. So we certainly made the most of it. 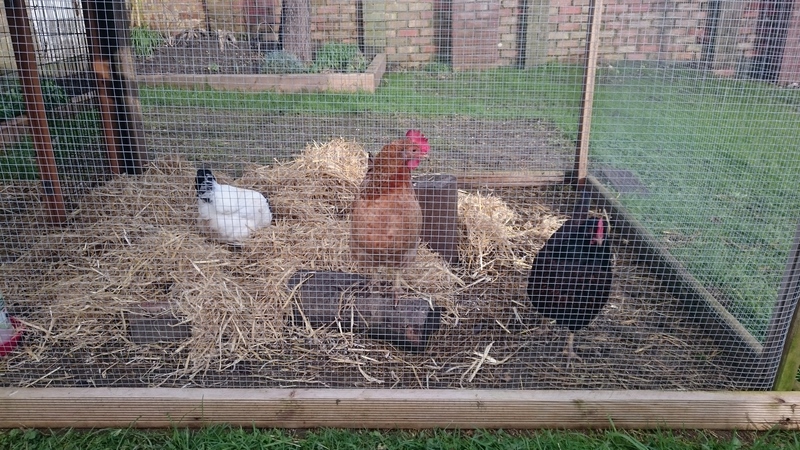 I planted more seeds, while the other half finished building the new chicken house (separate story!). 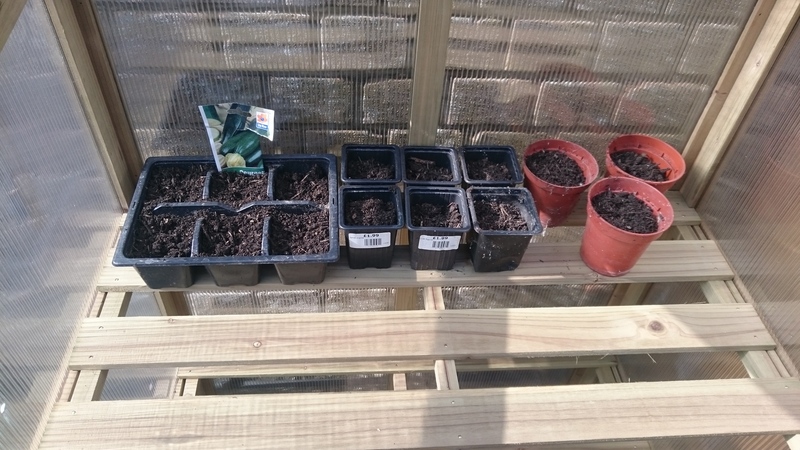 I have now planted butterscotch sweetcorn, viking spinach, peppers and chillis. Fingers crossed for them. Meanwhile, the courgettes I planted recently are doing nothing. I think it’s still a bit cold for them, even with the protection of the coldframe. On the plus side, my rocket seems to be doing well. 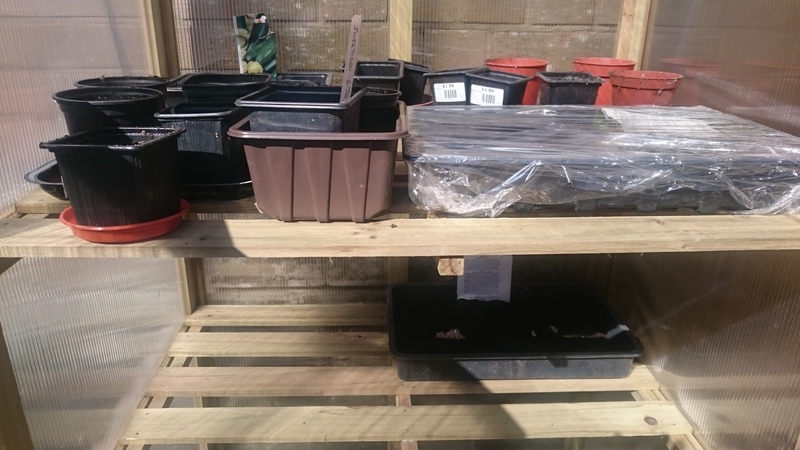 The coldframe is certainly filling up now. I still have cucumbers seeds to plant too. 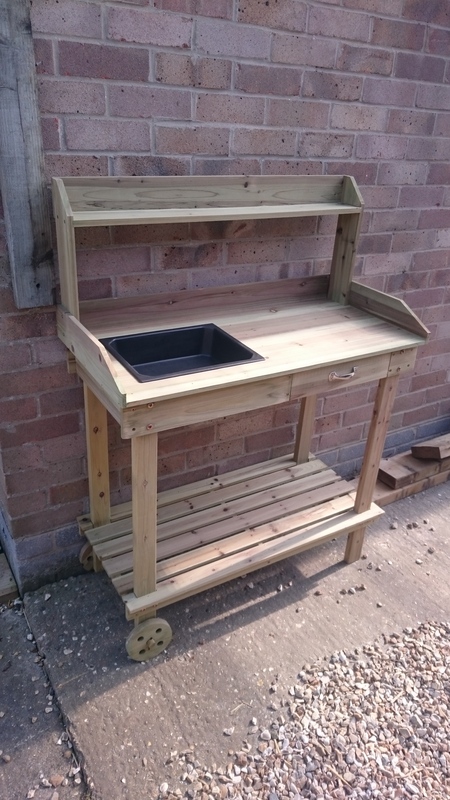 The weather has been fantastic this weekend, so we’ve built the potting bench I got for my birthday last month, and I’ve started sowing seeds. I’ve never been very lucky with growing from seed, so I’ve started small. 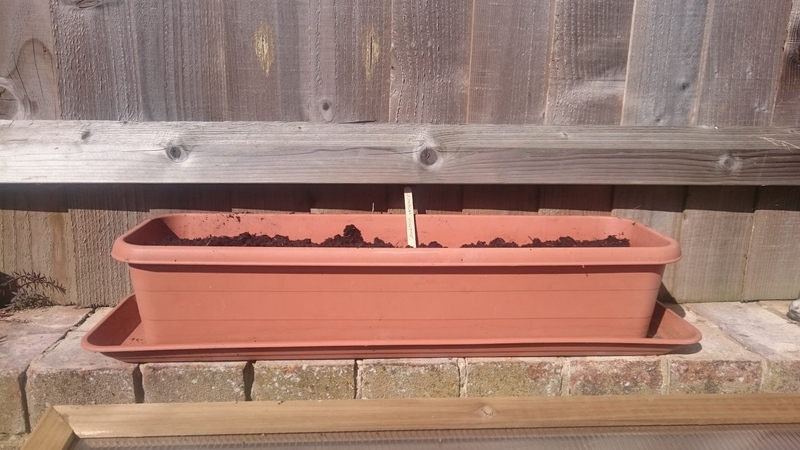 I’ve potted 15 courgette seeds which are happily homed in my new coldframe that I got for Christmas. 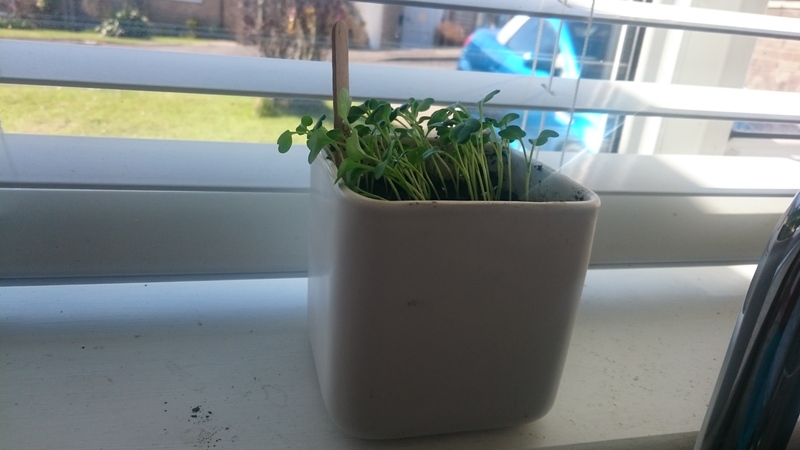 I also have a pot of rocket on my kitchen windowsill. Time will tell if I can grow from seed. 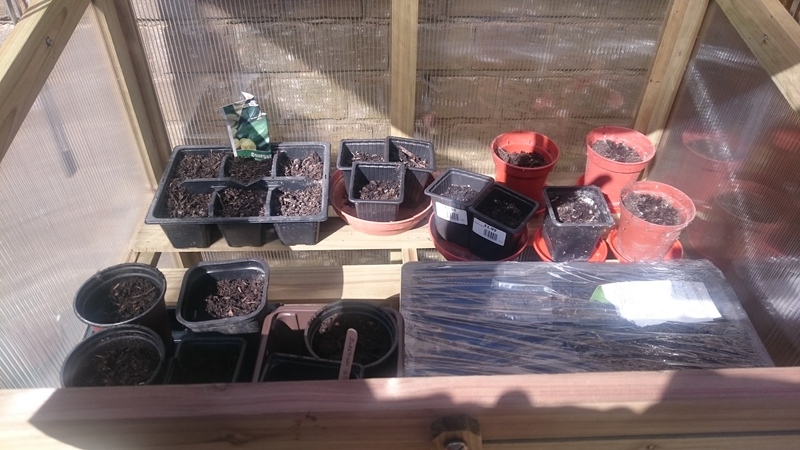 I’ve got more packets to sow soon… Sweetcorn, chillis, peppers, spinach and cucumbers. Next weekend is supposed to be nice too, so I shall sow more then hopefully. Remembering to water them is the hard part for me. So Barney (the black one) is making a nuisance of herself. She keeps pulling feathers out of the other girls’ bums and eating them. Google and various chicken forums leads me to believe she might be lacking in protein. So now I’m desperately trying to get some protein into their diet before the other girls go bald and Barney resembles a stuffed pillow. I read some horrific suggestions, like skinning small animals to feed to them (I won’t be doing that! ), collecting roadkill (I won’t be doing that either!) or feeding them fish guts (really?! No thanks). So I’m searching for more normal ways of providing protein. So far, they’ve gobbled up the pulled pork leftovers that I gave them (the cat wouldn’t eat it!) and Barney seems to love cooked brussel sprouts (I guess someone has to). Hopefully though, more scraps will sort out the issue and stop Barney eating feathers. If you have any ideas, let me know!